Posted on November 30, 2017 at 11:25 am. To celebrate the release of NetEnt’s new online slot game, Finn and the Swirly Spin, Slots Million is giving players the chance to score 50 free spins to use on this awesome new title. If you’re in the mood for an Irish adventure, head on over to Slots Million today to claim your free spins and join the fun of this action packed new slot game focused around Finn the mischievous leprechaun and his adventures in the Emerald Isle. This promo offer is available for new players only, and only if you’re from Finland, Sweden, Norway, Germany, Iceland, Ireland, Luxembourg, Netherlands, New Zealand, South Africa, Switzerland, Austria or the United Kingdom. To claim your free spins, sign up at Slots Million and enter promo code ‘FINN50’ upon registration. Make your first real money deposit while taking advantage of the standard matched deposit welcome bonus that rewards you with up to $100 in bonus money, and you’ll then get 50 free spins to use on Finn & the Swirly Spin when making your second cash deposit. Wagering requirements and expiry dates apply, so make sure to read the bonus terms and conditions at Slots Million before handing over your money. Finn is a cheerful, cheeky leprechaun who lives in the lush Irish countryside, spending his days dancing, playing the flute and creating all kinds of magic spells that benefit the online player. NetEnt designed this one as a mobile-first game, although it plays just as beautifully for desktop, using a soothing soundtrack and highly detailed graphics that make it striking to the eye. 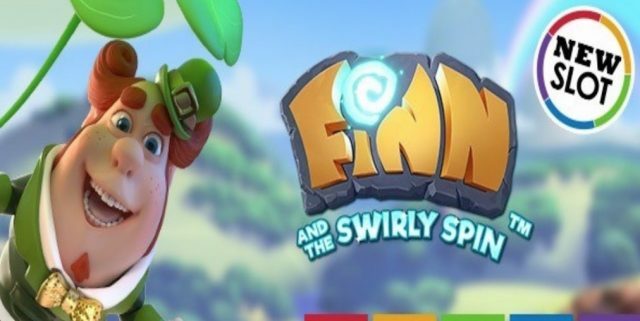 Finn and the Swirly Spin features a one-of-a-kind spin function, with Finn’s magic key symbol holding the power to unlock four different free spin bonus worlds. Enter Lucky Mug, Lava Lair, Starbar and Golden Pot to experience a unique atmosphere and get access to higher rewards as you progress through the lands. You can try this awesome new NetEnt slot creation and hundreds of other titles at Slots Million, one of our top-rated casino sites that hosts thousands of online slots from the best software developers in the business. Sign up at Slots Million today and enter promo code ‘FINN50’ to get 50 free spins to use on Finn and the Swirly Spin and see if the luck of the Irish is on your side.